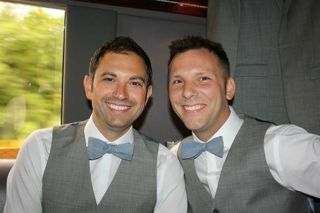 Music Box DJs, Andrea and Chris felt the love at Nick and Bob Dziurda’s wedding on Saturday, September 6th. 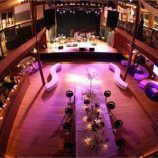 The Dziurda’s wedding took place at the magnificent Crofoot ballroom in downtown Pontiac, Michigan. A Music Box DJ since 2005, Andrea expressed that she has never felt such a strong connection with clients as she did with Nick and Bob. Andrea suspected that Nick and Bob’s wedding was going to be EPIC from their very first meeting. During their pre-wedding planning, Andrea and the grooms were in complete sync on every aspect of the event, from start to finish. During that meeting, Nick and Bob stated that their guest’s entertainment was the most important priority of their special day and boy did that make sure that happened! The beautiful day started with the couple’s very touching ceremony. 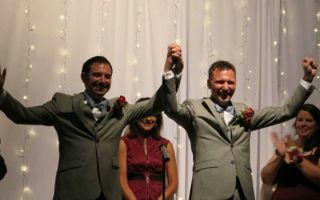 The faces of the groom’s parents when they exchanged their wedding vows were something our Music Box DJs will never forget; their parents beamed pure joy and pride as their sons made their commitment of an everlasting bond to each other. DJ Andrea and Chris were grateful to have witnessed such a timeless moment in this couples life. 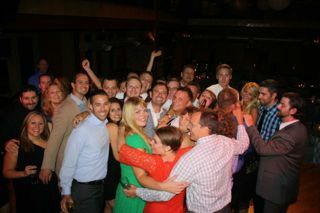 Incredible energy surged from family and friends as the dance floor was packed the entire night. “Turn Down for What” was an absolute hit accompanied by a reminder that there was only one more hour of partying to go. The DJs used this song to challenge to the guests to really rock out hard for the last hour, they did not disappoint! Towards the end the guests formed an enormous group hug around the newlyweds and showered them with love. 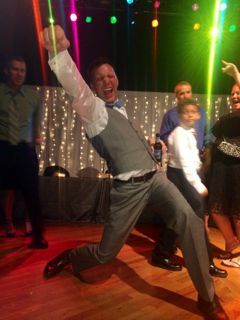 Have you ever been to a wedding so awesome you just had to share you experience with everyone? If so, Let us hear it?